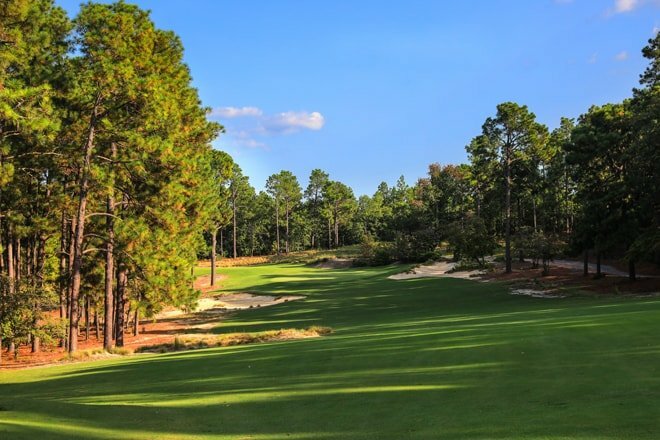 A rarity among Donald Ross masterpieces, Mid Pines Golf Course remains exactly as the world renowned architect built it in 1921 and impeccably restored by Kyle Franz in 2013. 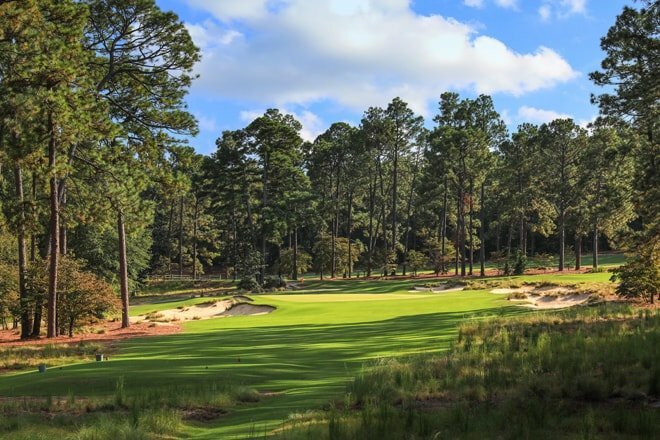 The renovation was honored with GOLF Magazine’s Best U.S. 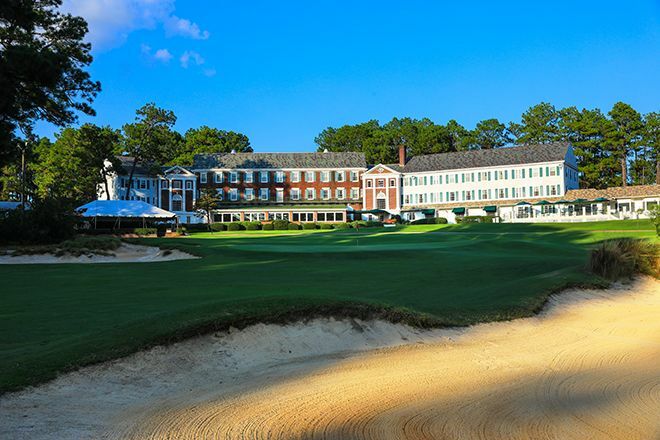 Resort Renovation and Restoration of the Year. 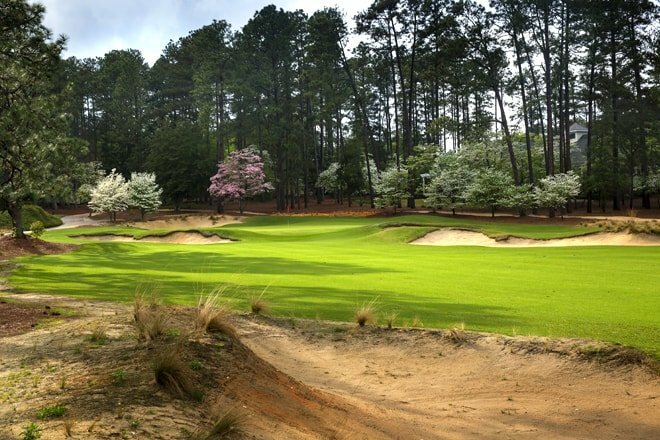 The course, often characterized as “pure Donald Ross,” was designed to fit perfectly into the natural landscape, as was Ross’s signature approach. 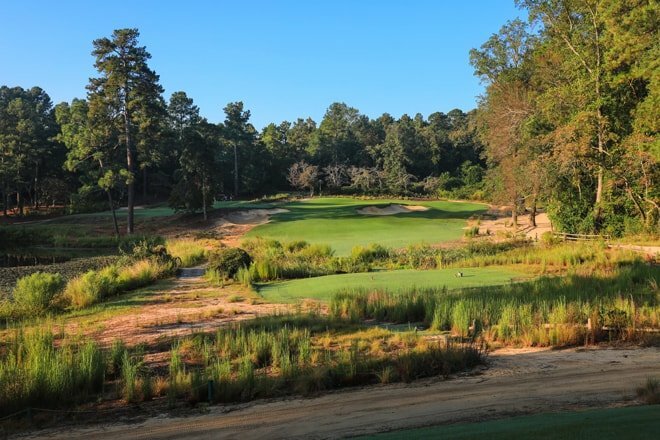 Mid Pines was not intended to be a daunting challenge for the finest players competing under championship conditions, but was envisioned as a course that would offer friendly competition for members and guests of a private club and resort. 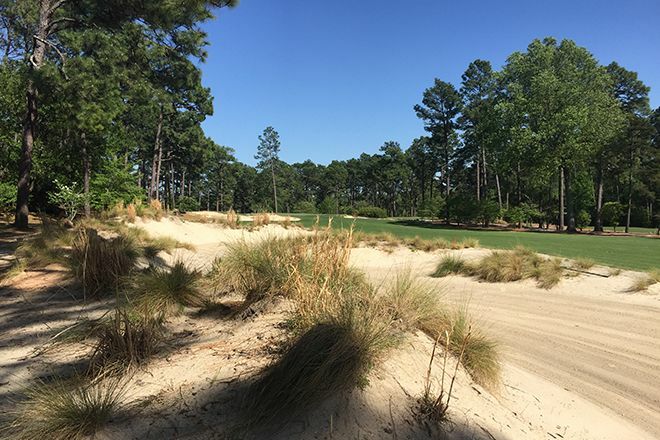 However, fanatics and pros have taken note of the perfectly preserved course and Mid Pines has become a classic gem, which has now played host to many national competitions including the 2002 USGA Senior Women’s Amateur Championship. 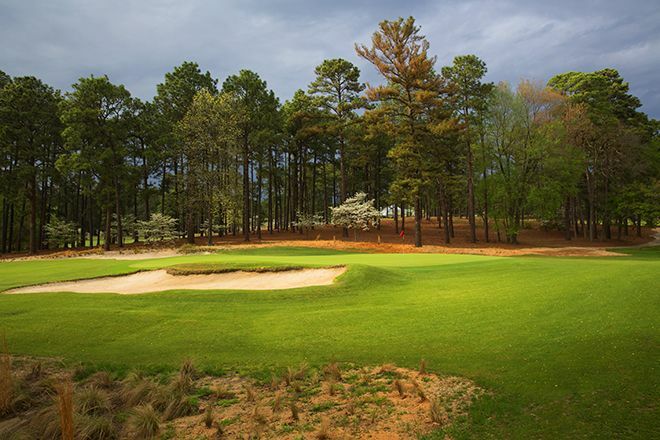 an approach over the heavily bunkered left side of the green. right pin placement makes this hole extremely difficult. center. 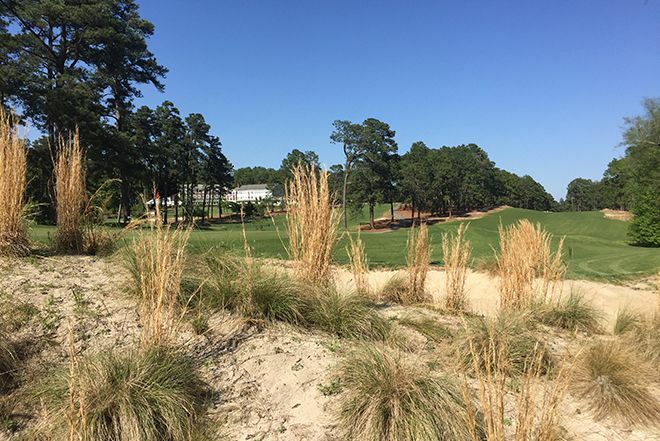 A lateral hazard runs down the right side of this hole. approach shot to the left of the hole. 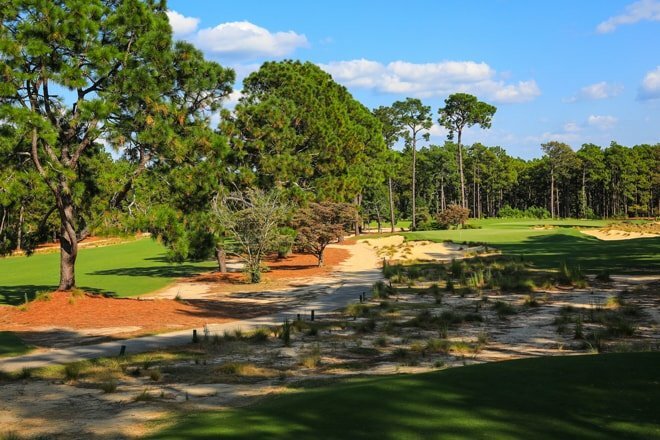 A long par 5 where the drive should favor the right side of the fairway. third shot will need to be accurate to this small green. fairway. Keep your second shot below the hole. well-bunkered. 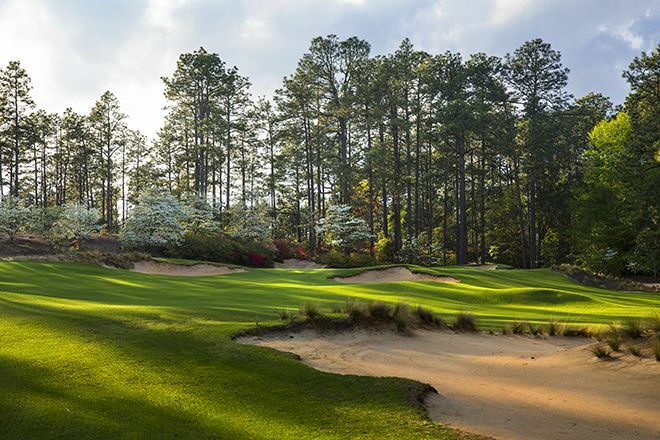 Play for the center of the green. 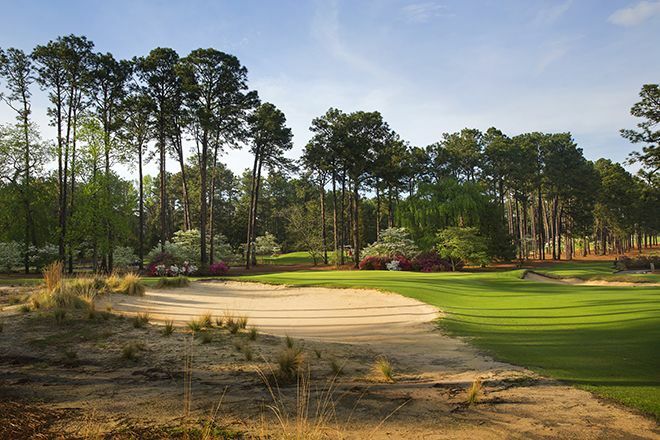 A long par 3, a Donald Ross trademark. 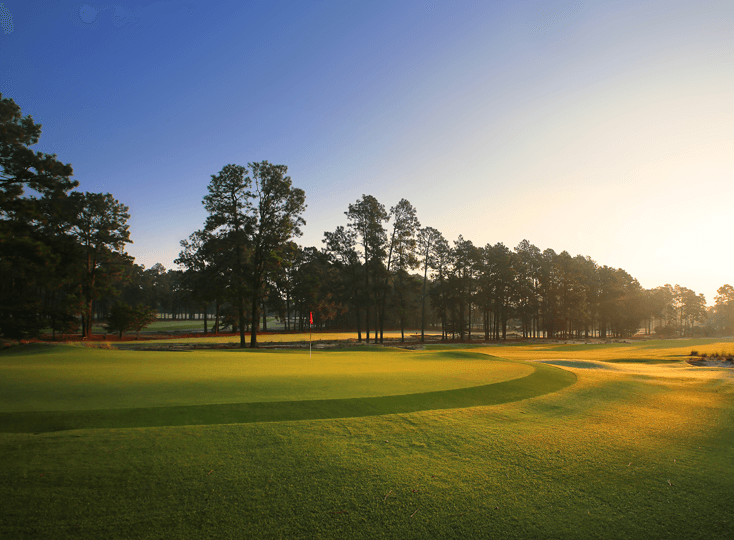 Play for the center of the green. shot. 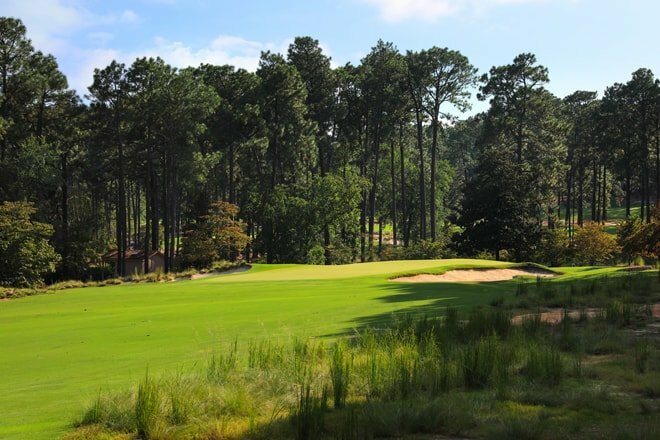 A fairly flat green will yield many birdies and a possibility for eagle. into play. Right side of green slopes severely, keep your ball left. meandering swale in the middle of the green makes for interesting putts. bunkered left side of the green. down the right side of this hole. the left of the hole. 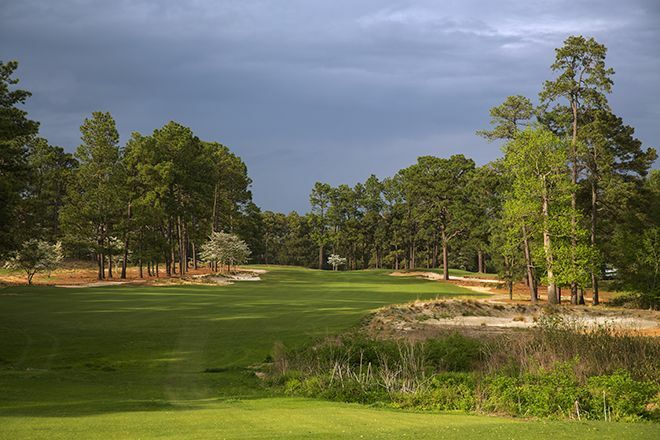 A par 5, reachable in two, yields a good birdie opportunity. 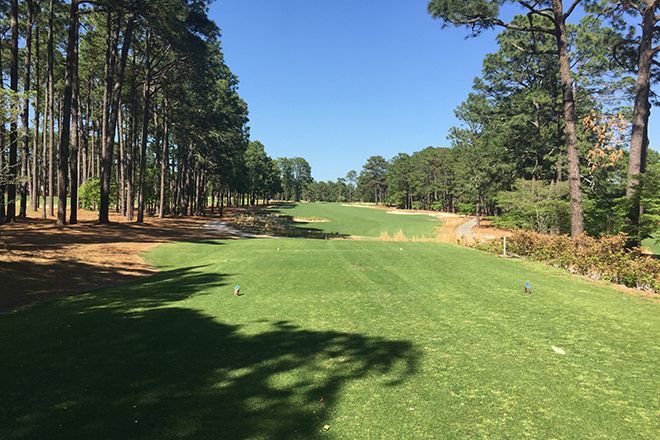 offers a long iron approach from a downhill lie, or a layup. second shot below the hole. par difficult. 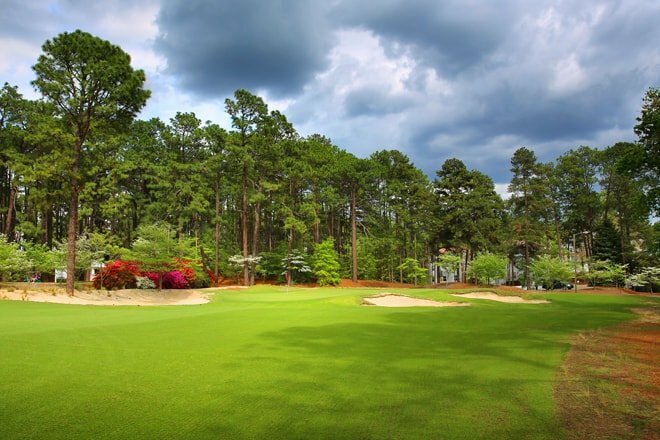 A classic Donald Ross par 3.
approach to the middle of the green leaves a makeable putt. surrounded by three bunkers requires a precise approach. green is well-bunkered. 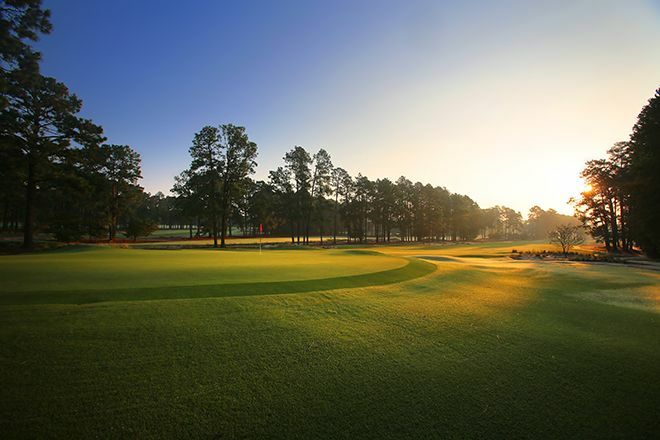 Play for the center of the green. the hole as this green slopes severely back to front. down. This hole has a long undulating green. 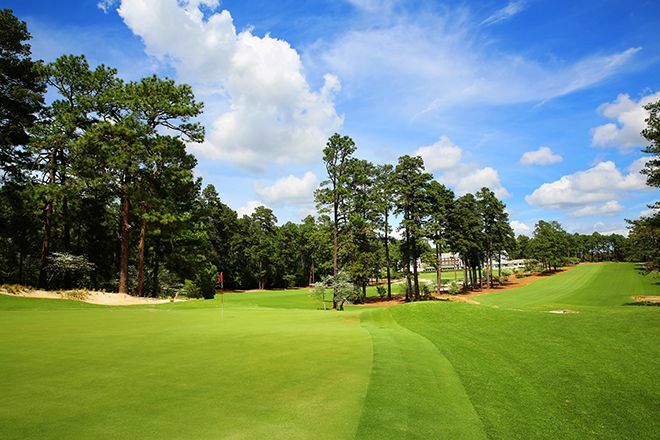 will yield many birdies and a possibility for eagle. your second shot to avoid the false front. green slopes severely, keep your ball left. middle of the green makes for interesting putts. 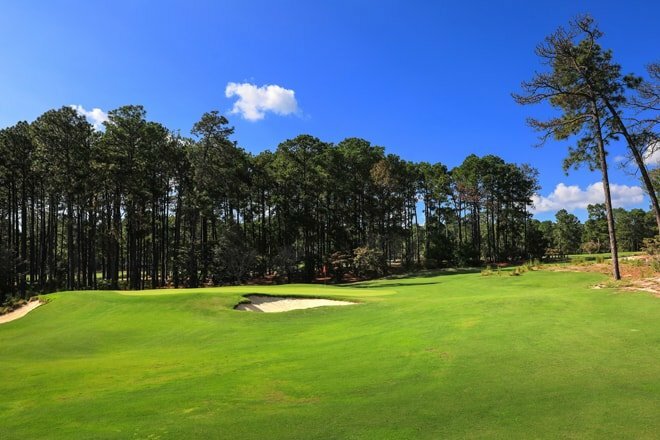 Just across the street, our sister property Pine Needles Lodge & Golf Club offers another spectacular championship course. 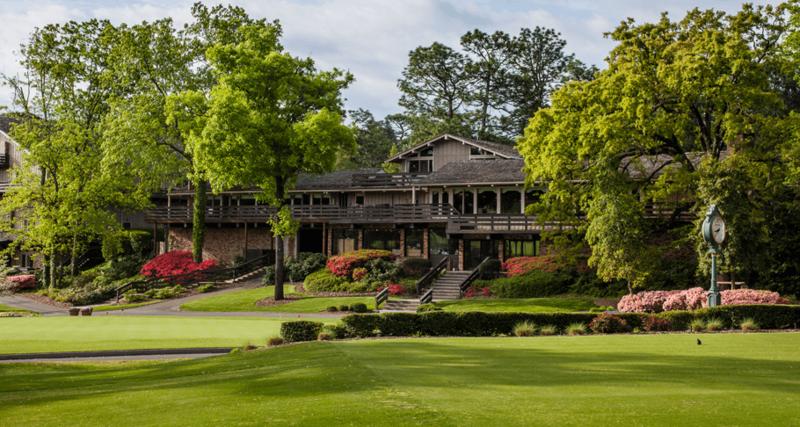 Designed by Donald Ross in 1927 and restored in 2017, Pine Needles has hosted three USGA Women’s U.S. Open Championships and has been selected to host the 2019 U.S Senior Women’s Championship and 2022 U.S. Women’s Open.